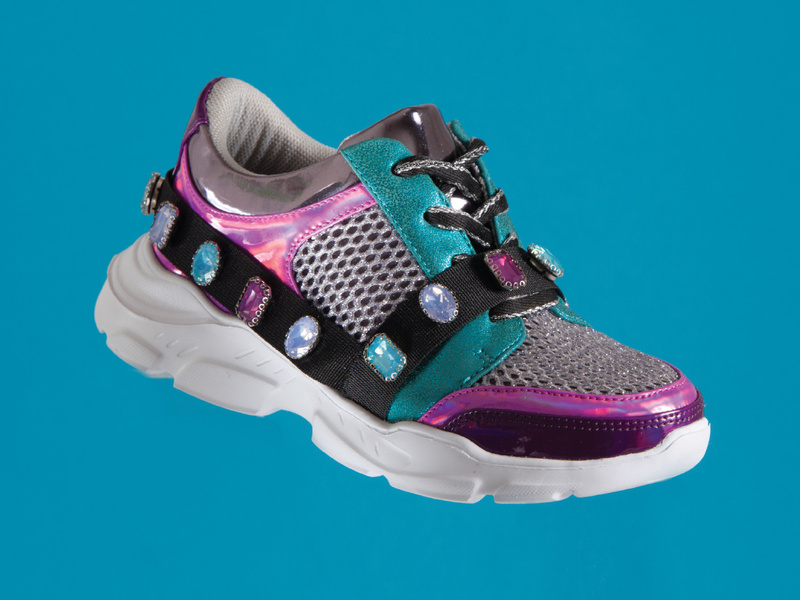 Check out this glam squad of kids footwear – sparkly, bright, and ready to play. Clockwise from top: colorful and creative styles from BCBG, Skechers, Nina and Vans. Photos By Frank James. Too much is never enough when it comes to the latest kids styles. 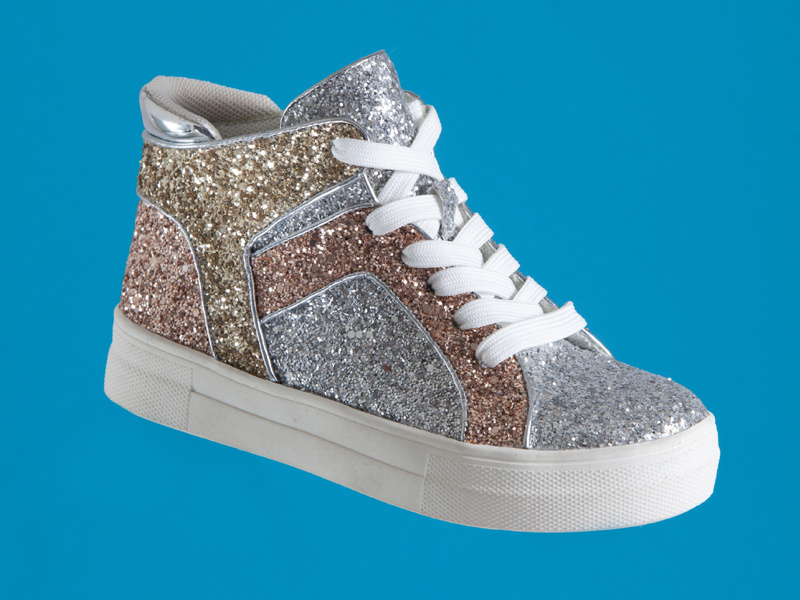 Over-the-top embellishments, glitter, shine and color for days make footwear fun and steal the spotlight. 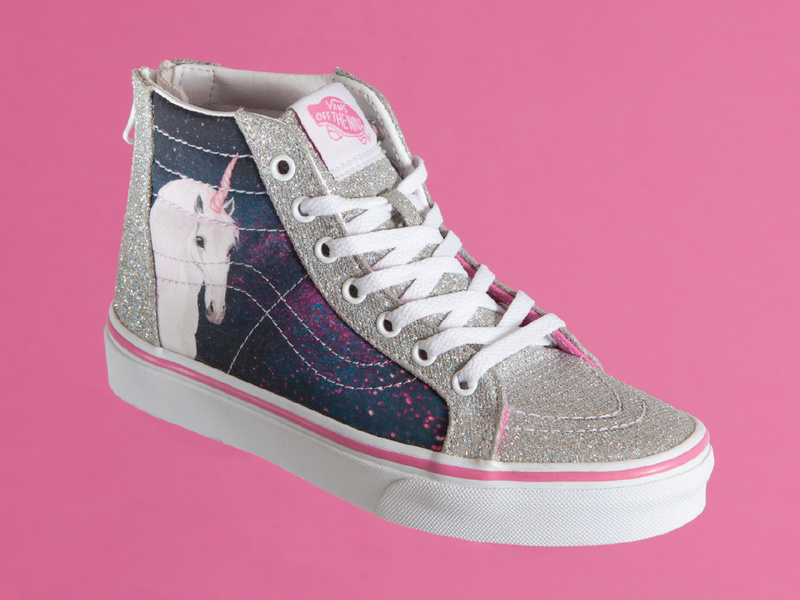 As MSRPs on Children’s Shoes Reach Sky-High Levels, Brands Emphasize Value. 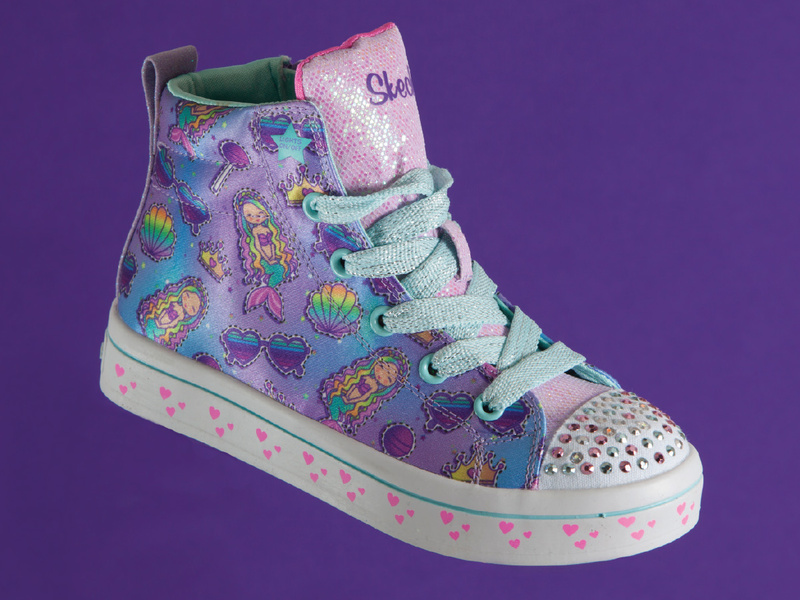 At the Children’s Great Event Shoe Show in Teaneck, NJ, in February, the buzz was about pricing. 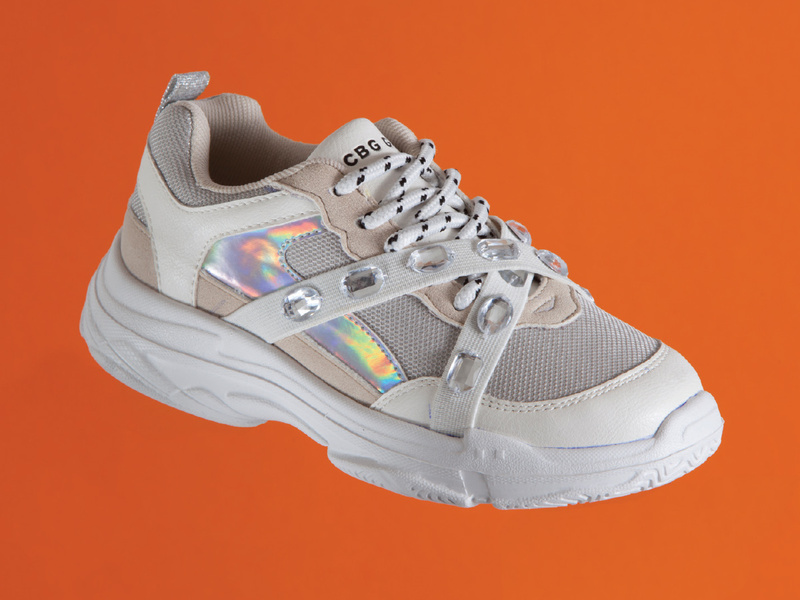 With new launches like the Geox JR XLED topping out at $110 (the shoe turns emotions into light-up messages via an app), brands were working hard to justify newly minted levels in price. 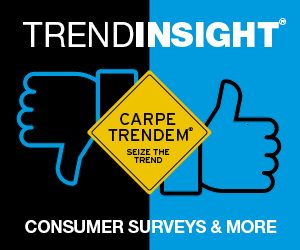 With pressure from trendy Target and the ever-abundant Amazon, “I feel like if you up the price, you better up the technology too,” says Keen Territory Manager Shelby Carroll. 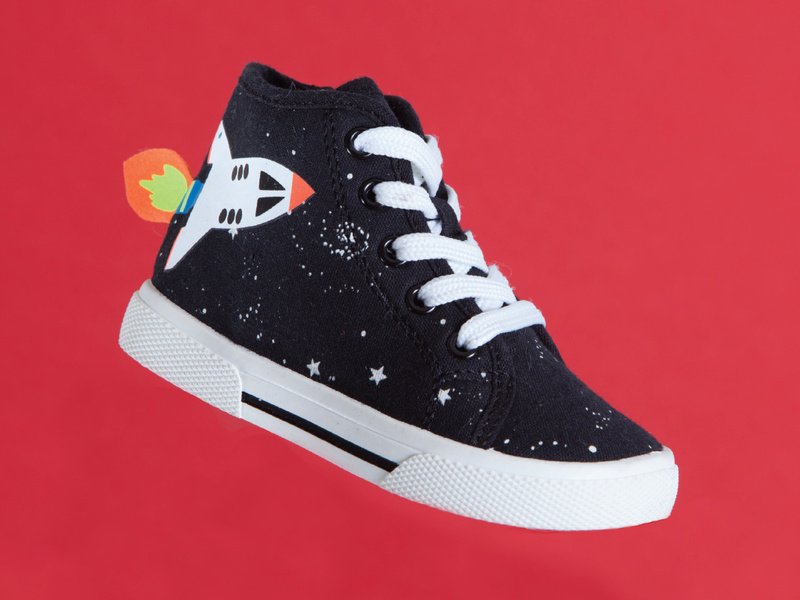 Seeing that “kids can grow out of shoes in six months,” comments Carroll, some parents are left wondering what a good, quality shoe warrants in terms of price anymore. “Consumers are very influenced by price,” notes Brooke Andrews, owner of Miller’s in Mamaroneck, NY. 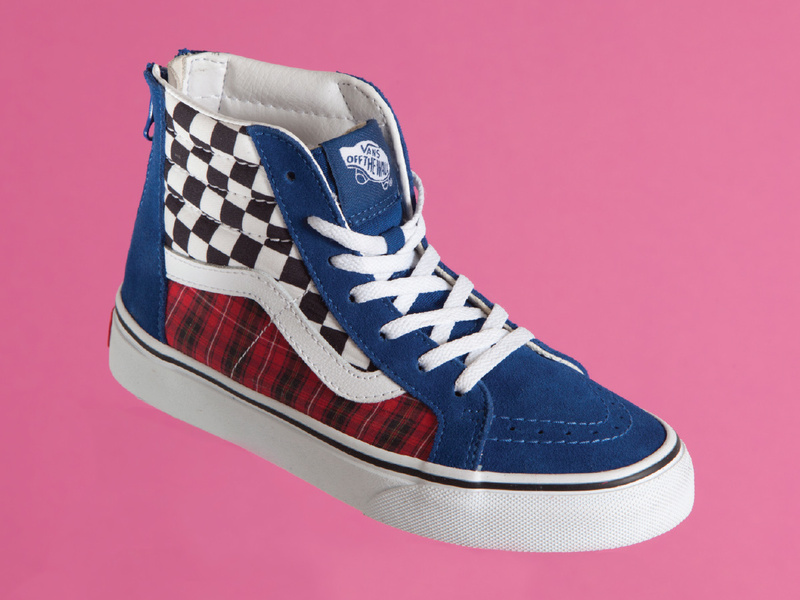 “Of course, the shoe has to look cool, but there is a limit to how much they will pay for the fashion,” she adds. 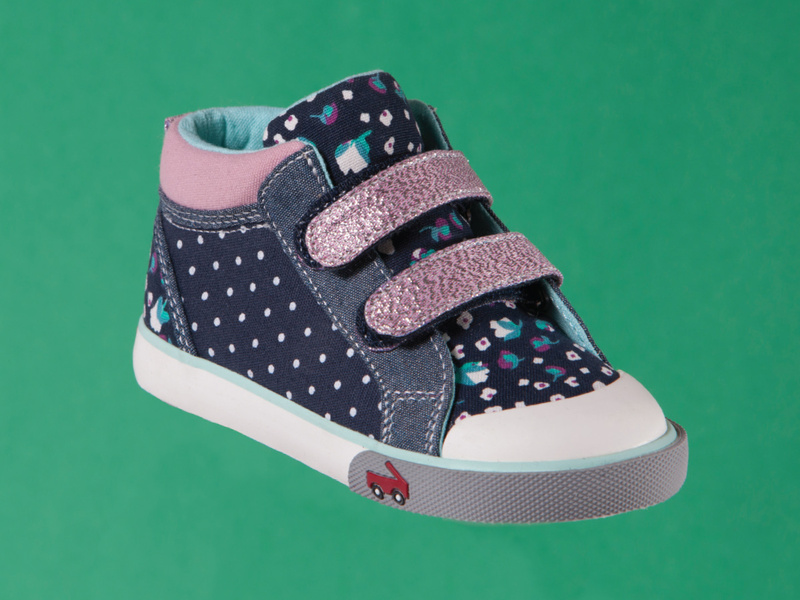 Tsukihoshi, Geox and Naturino are popular thanks to their quality and fit, but ultimately, she says, “customers want shoes that will hold up to all the kids do to them!” Parents are also looking for special features during the winter seasons like waterproofing. Having product available to sell for reorder in season is also important. 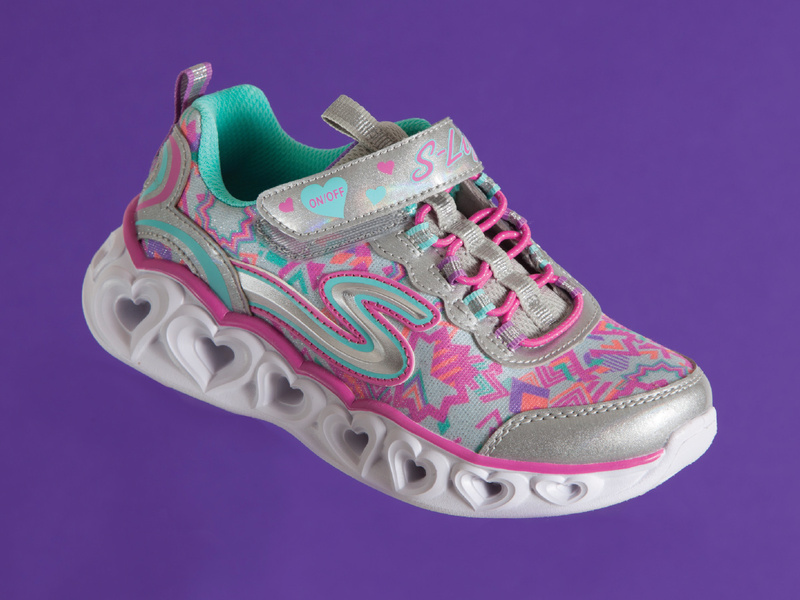 “The one thing brands can do to add value is make sure the quality of the shoe is there, meaning the materials are of good quality,” says Sprong Children’s Shoes’ owner Stephanie Teichner. 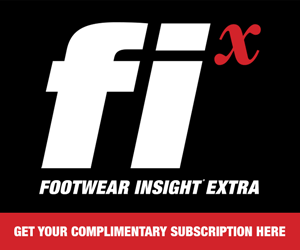 “Parents complain, especially in athletics, when shoes fall apart so quickly.” Best-selling brands at the Atlanta, GA-based retailer include Nike, New Balance, Under Armour, Asics and Native for their variety of price points; Cienta for its quality and reasonable pricing; Steve Madden for its fashion focus and Blowfish for its price-conscious trend quotient. “Fashion is important to a certain group of customers,” Teichner notes. “It is important to carry a broad selection so a customer can come in and find what they are looking for,” she adds. At See Kai Run, “we have had some moderate increases in MSRP over the last two years as a result of factory costs such as labor, electricity, paper and boxes rising slightly,” explains CEO Helen Rockey. 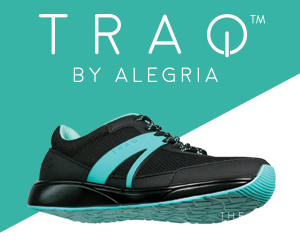 The firm aims to keep pricing consistent across channels and Rockey finds “some parents are willing to pay more for the sit-and-fit experience, while others will pay more online because of the convenience and inventory variety.” New for this Spring, the brand has launched an accessible, lower-priced, collection at Target. 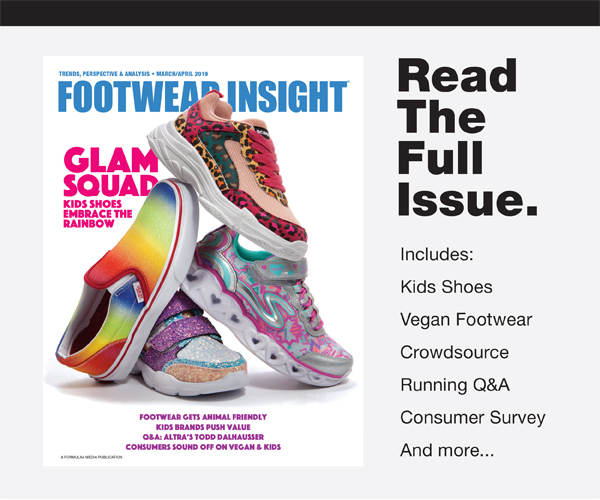 The See Kai Run team feels that having a collection at Target will increase brand awareness for all of See Kai Run products and retailers and that growth will enable the brand to invest in its flagship products and retailers. 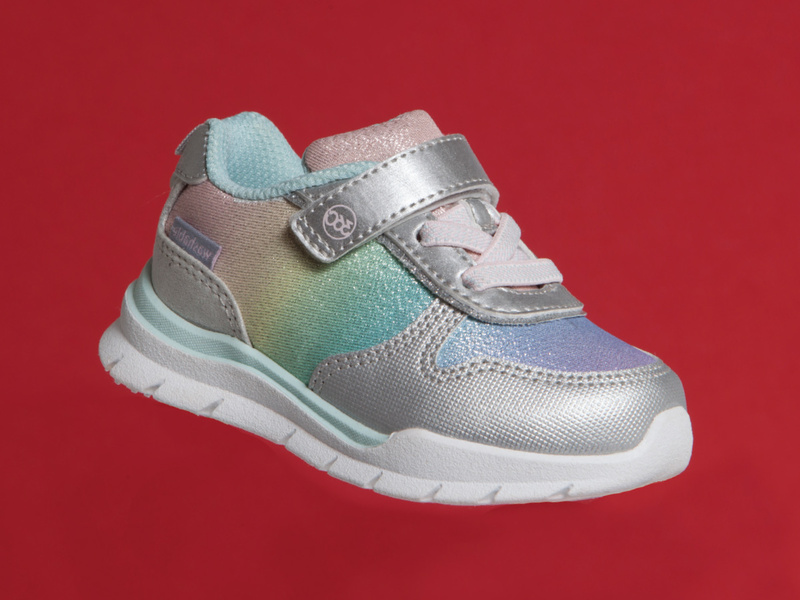 See Kai Run prides itself on being the brand that will fit a toddler or first walker immediately. 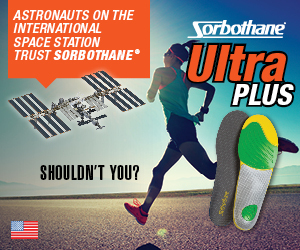 “We’ve been told that our shoes fit 95 percent of the children who come into a store,” says Rockey. In winter boots, the Atlas II waterproof, Thinsulate-lined boot is lightweight, flexible and proportionally engineered to the age and foot shape of the growing child. 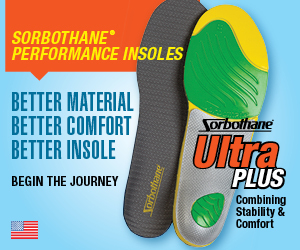 At $75, it has a true bootie construction with a seam-sealed membrane. 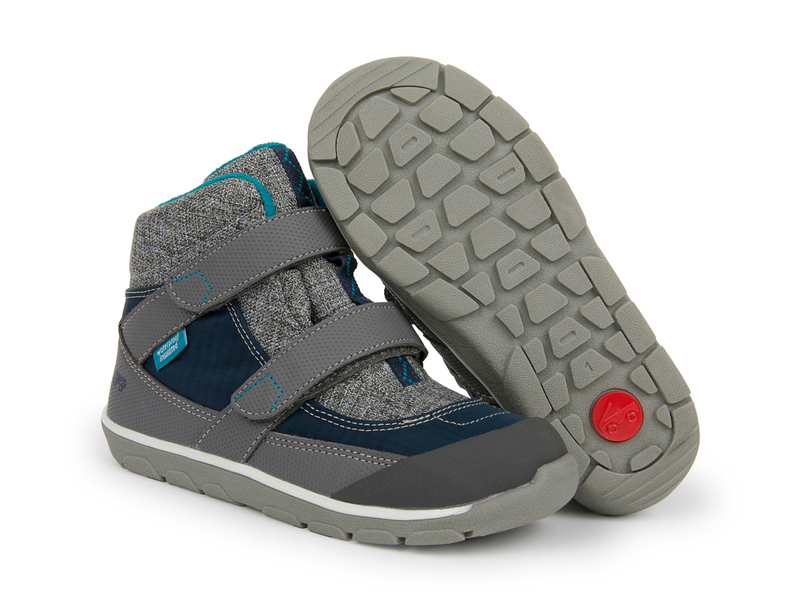 Stride Rite is offering a new waterproof, insulated boot for Fall, dubbed the Made2Play Shay. 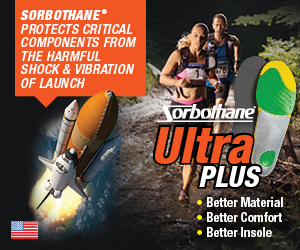 The boot is machine washable, has memory foam footbeds, adjustable double hook-and-loop closures, breathable technology, anti-microbial treatment and rubber pods for traction. MSRP for the boot is $70 in toddler sizes, $74 for big kids. “We’ve seen the costs of labor, materials, transportation and corrugated cardboard increase by nearly 10 percent over the past year. 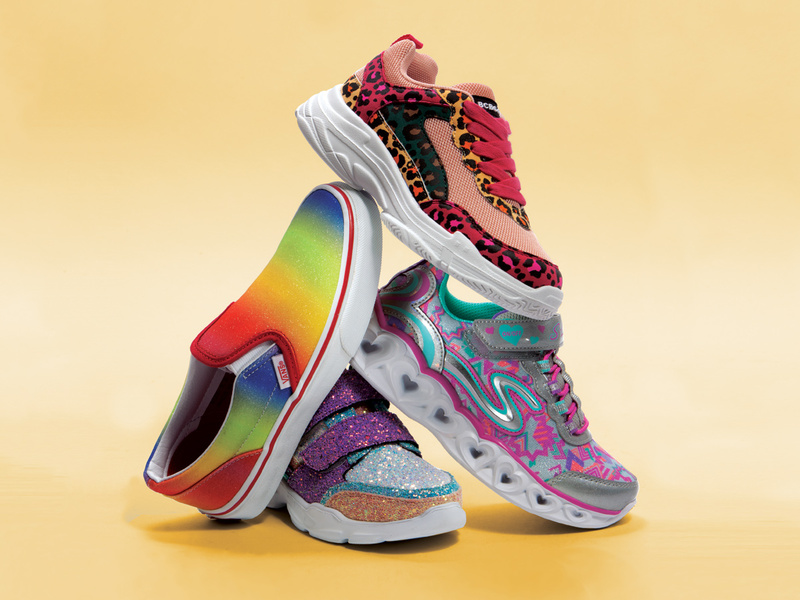 However, we’ve worked hard to absorb most of the increased costs, only raising retail prices by about 4 percent,” explained Vida Shoes VP John Licata. 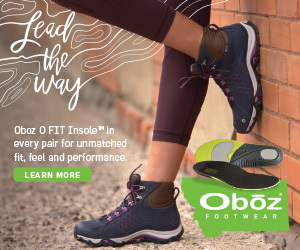 In addition to offering a plethora of features to make parents feel like they are spending their money wisely, the brand is “glorifying fit in all we do with the product,” including increased store associate training, a nationwide fit tour and a new 3D measurement/fitting technology called the Stride Rite Fit Zone. Technology is tops at Bearpaw, a brand also promoting boots for Fall 2019. 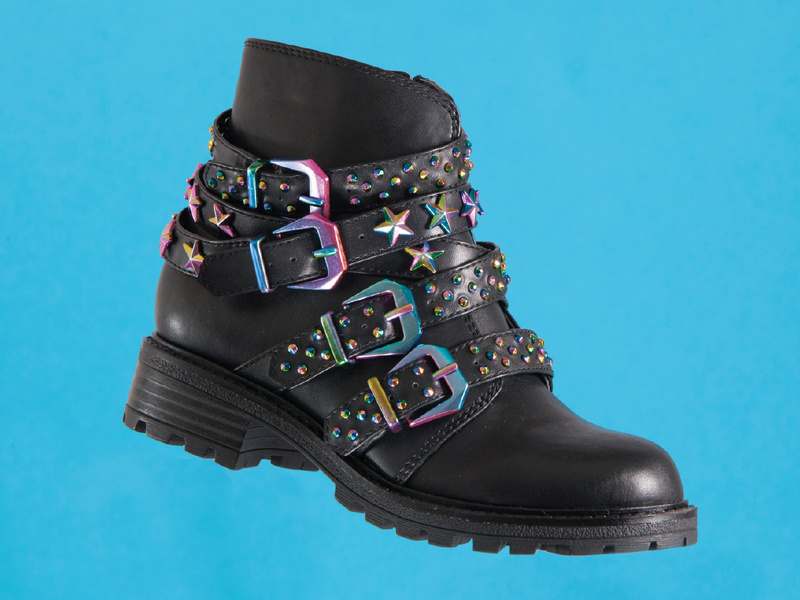 The Betsey suede boot features NeverWet technology – a super hydrophobic water-resistant protection. 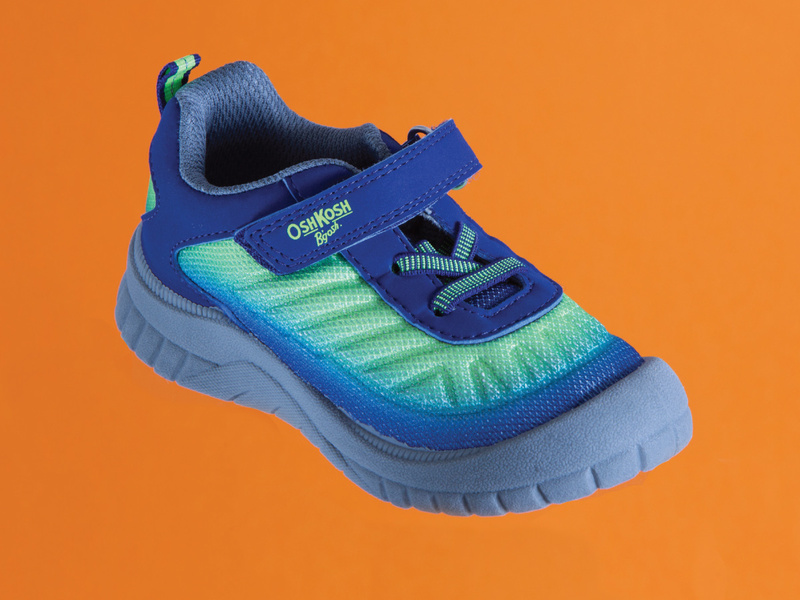 “This is a great value add, especially for kids,” says Edna L. De Pamphilis, global marketing director for Bearpaw. 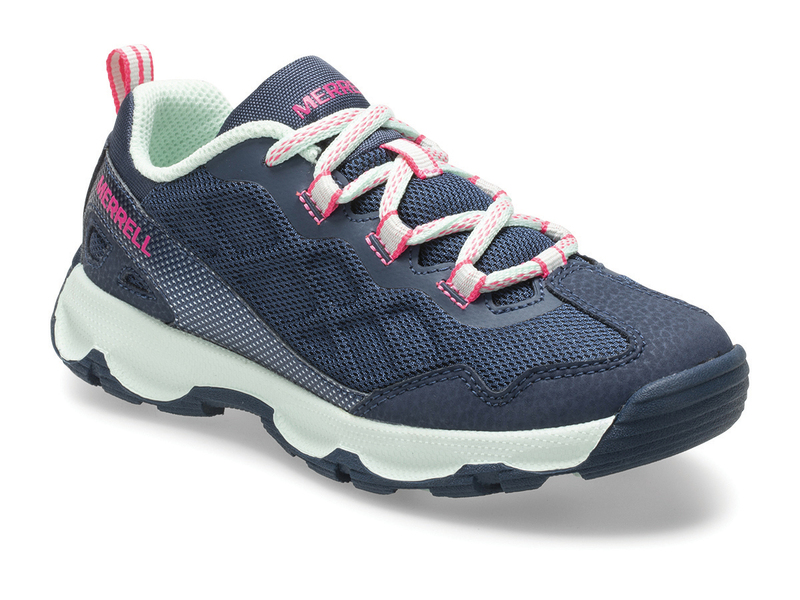 Teva’s Ember Moc for kids features a quilted nylon ripstop upper which is treated to repel water and stains, an EVA midsole with rubber outsole for added traction and collapsible heel. 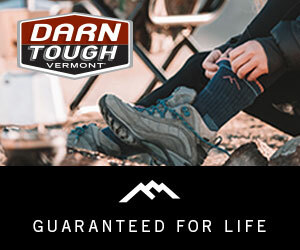 The brand is aiming to add value in its kids offerings by giving the footwear enhanced comfort, traction and protection from the elements. To appeal to eco-conscious parents, Sperry’s Bionic collection is spun from plastic recovered from marine and coastal environments. 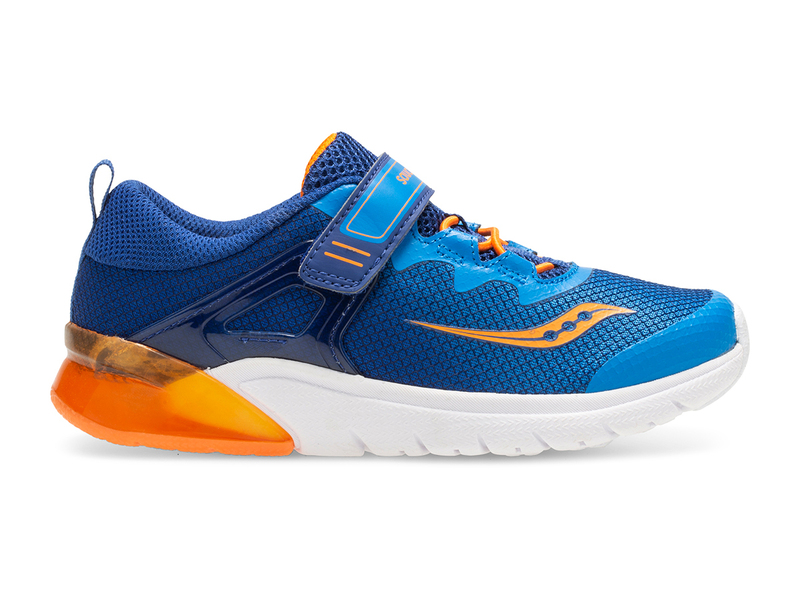 The Crest Vibe Bionic for kids features a non-marking rubber outsole for wet/dry traction and sustainable bionic upper for an MSRP of $49.95.